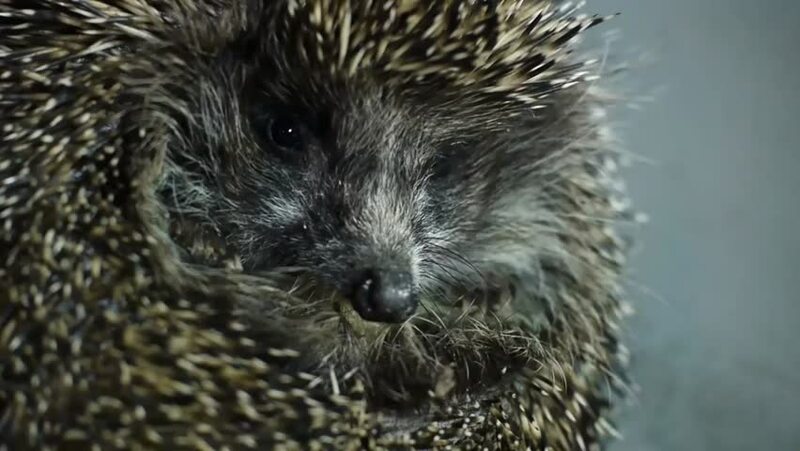 Hedgehog close-up, animal pokes his nose out of the dense needles, sniffs the air and hides back curled. hd00:28Close-Up of a Hedgehog Trembling in the Grass. Needles Brownish Color, With Dark Horizontal Stripes. Crumbs of Food on His Nose in a Trembling Hedgehog.